The final version of the compensation bill for victims of human rights violations during the dictatorship of Ferdinand Marcos is now awaiting ratification, after the bicameral conference committee on Wednesday ironed out the last of the contentious provisions in the measure. The panel agreed that there would be a “conclusive presumption” that over 9,000 plaintiffs in a Hawaii class action suit against the Marcoses are human rights victims entitled to compensation, according to Bayan Muna Rep. Neri Colmenares. MANILA, Philippines - Another historic bill is one step closer to becoming a law. 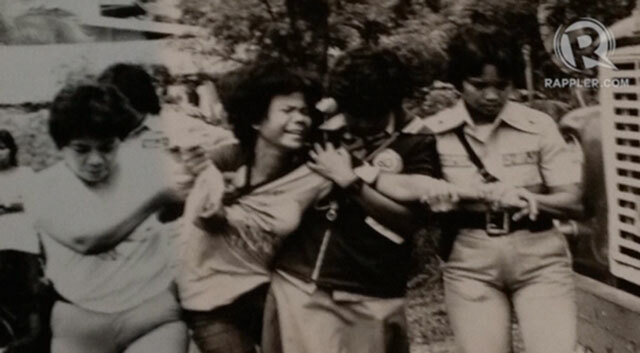 The bicameral conference committee on Wednesday, January 23, approved "in principle" the bill that will provide compensation for activists who were imprisoned, tortured, or whose relatives disappeared during the Marcos regime. The bill seeks to provide reparation for victims of human rights violations during the regime of the late President Ferdinand Marcos covering the period from Sept 21, 1972 to Feb 25, 1986, when he was ousted. MANILA, Philippines --- Malacañang yesterday assured that the Philippines will pursue claims over the damage done to the Tubbataha Reef, belying speculations that the government is reluctant to go after the US Navy minesweeper USS Guardian over the destruction. Presidential spokesperson Edwin Lacierda said the Republic Act (RA) 10067 will be enforced on the damage wrought on the Tubbataha Reef. The Commission on Audit (COA) on Wednesday said that the maintenance and other operating expenses (MOOE) allocation was not a discretionary fund and could not be used for purposes not specified under the General Appropriations Act (GAA). COA Chairperson Grace Pulido-Tan issued this statement in reply to a letter from Sen. Miriam Defensor-Santiago dated Jan. 10, questioning Senate President Juan Ponce Enrile’s use and realignment of the Senate savings as additional MOOE. Candidates in the 2013 polls may still bombard the Internet with ads despite a new rule limiting online campaigns, as long as they do it for free. 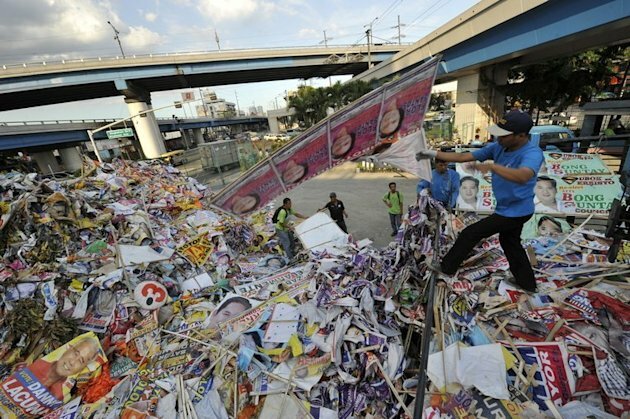 This, as Commission on Elections Chairman Sixto Brillantes noted that limits on ads across all media are put in place to control campaign spending.